Like most other Asian cuisines, a strong focus on diversity, detail and an overall balance are of vital importance to Thai chefs. With many recipes featuring an almost never-ending list of ingredients, ensuring all the flavours and textures work together well is easier said than done. The fundamental basics behind Thai cooking lie in the art of juggling together four taste sensations – sweet, sour, salty and bitter – to create a harmonious finish which pleases the palate in every possible way. Som tam translates into ‘green papaya salad’ and originates in the north east of Thailand. Thanks to its delicious flavour and nutritious benefits, this light and healthy salad has grown in popularity over the years and today is found all across the country. Like many Thai dishes, the recipe for som tam varies from region to region and can lean toward the sweet or sour side, depending on who is cooking it. Kuay tiew is best described as noodle soup. This simple and light dish is as messy as you would imagine and requires the eater to slurp noodles with the help of chopsticks then finish off the remainder of the bowl by sipping it like a giant cup of tea. Just like Pad Thai, kuay tiew comes in copious variations – so many so that if you ate it for every meal during your stay in Thailand, you might never have the same flavour experience twice. 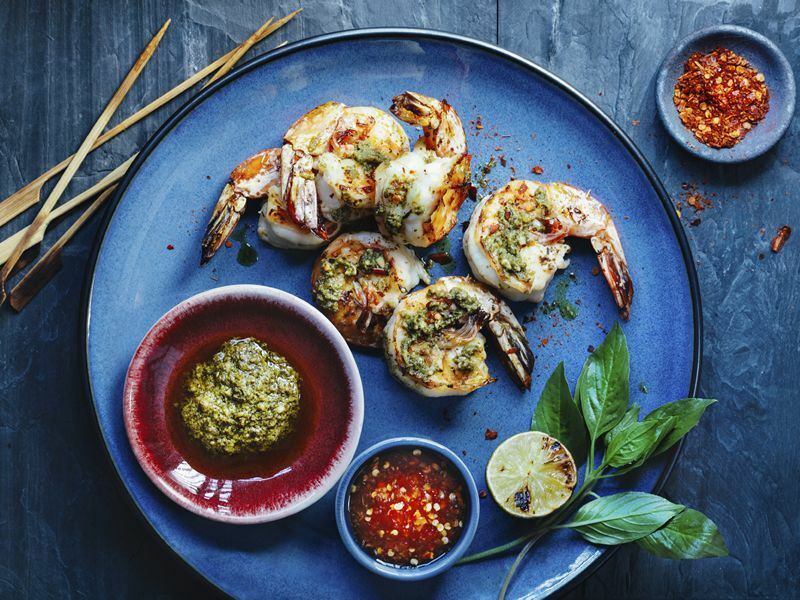 This harmonious combination of eclectic ingredients uses many of the signature flavours, smells and textures that have caused Thai cuisine to become so popular internationally. Whilst this dish can be prepared and served anywhere in the world, chefs will have a tough time re-creating the unique and somewhat smoky flavours that the fresh Phuket-grown roasted cashews bring to this dish. The chicken for this dish is delicately simmered until juicy and tender. To avoid waste and soak up leftover flavours, the water the chicken was simmered in is also used to boil the rice. This results in a dish which – whilst certainly high in flavour – is also high in cholesterol. The chicken and rice are served side-by-side, liberally dressed with a chicken broth and an assortment of sweet and spicy sauces.